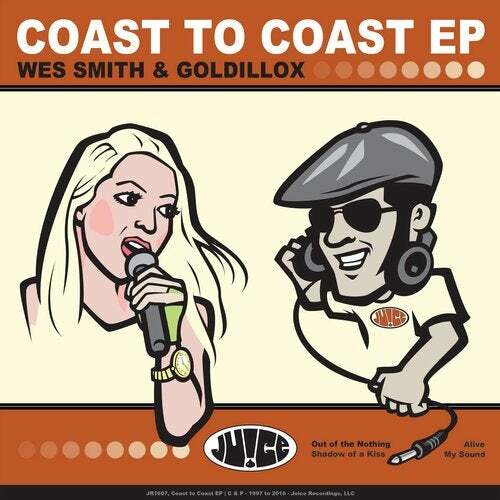 On the "Coast to Coast EP" Wes Smith teams up with Goldillox to bring you a 4 track original EP chock full of fresh beats, bass and vocals. "Shadow of a Kiss" gets the floor moving with a moody, kick heavy bass roller. "Out of the Nothing" keeps the deep vibe in check and steps it up with some signature gritty bass. "Alive" picks up the tempo and turns sunny side up with big kicks, percussion, and the all around feel good vibes. Last but not least, "My Sound" rounds the EP out on a genre bending tangent for the festival crowd.